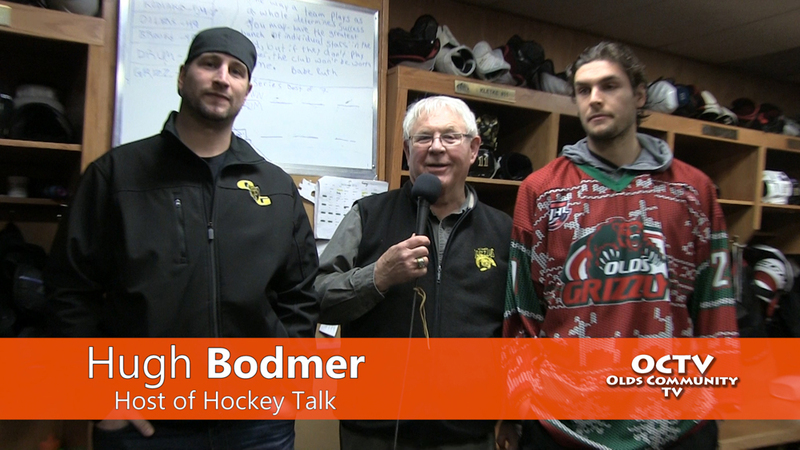 Hugh Bodmer talks with Grizzlys Coach Brett Hopfe and #12 Kyle Moore about the upcoming ugly Christmas Sweater Auction. 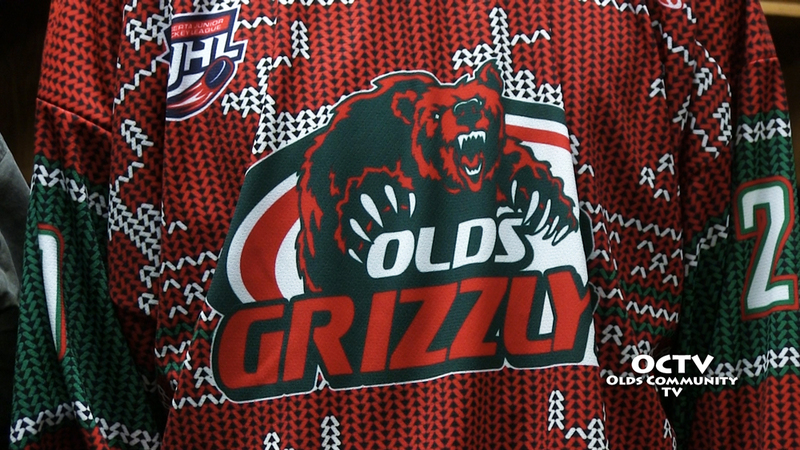 The Grizzlys will be wearing these special limited edition sweaters at the home game on Friday December 19th. Fans can take home a piece of history by bidding on the sweaters during a silent auction during the game. Fans are also encouraged to wear there own ugly Christmas sweaters for a chance to win prizes at the game. Puck drops at 7:00p at the Olds Sportsplex when the Grizzlys take to the ice against the Fort MacMurry Oil Barons.